As planned, we ripped out our lettuce, spinach and strawberry plants last weekend. 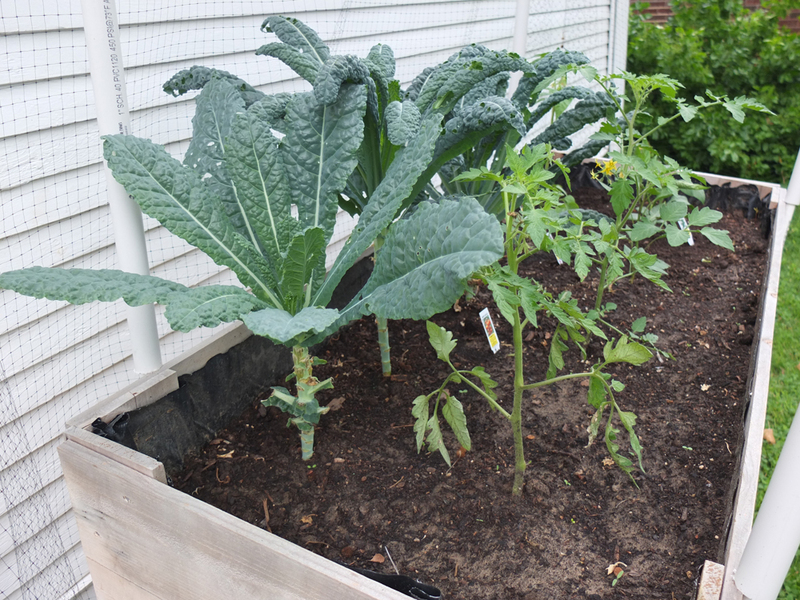 We kept three kale plants as they are potentially good through the summer and will definitely be ready for harvesting in the fall. 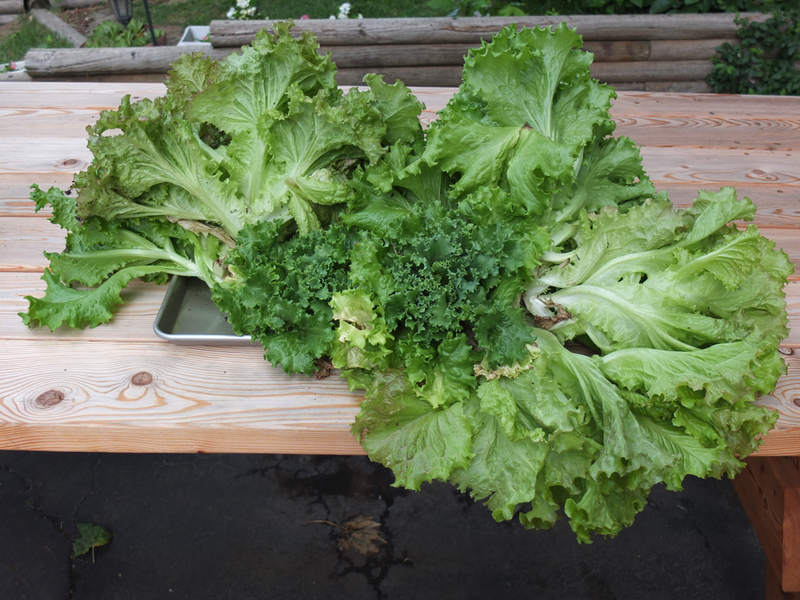 We gave three heads of lettuces to friends and kept the rest for ourselves. We have been enjoying salads all week and have been trying to savor every last piece of lettuce before our season of plenty comes to an end. After everything was pulled out, I turned the soil and dug holes for our summer "crop". We purchased organic, non-GMO plants at the farmers market from one of my favorite growers so I have high hopes for a plentiful harvest. In the big container, we planted three tomato plants all of the heirloom variety and two pepper plants - one jalapeno and one banana pepper. In our one 12" diameter pot, we planted two basil plants. I am pretty sure this will create too much crowding so I plan on transplanting each to its own pot this weekend.